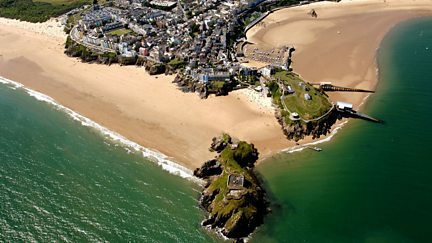 Ron must clear Tenby's three blue flag beaches of rubbish before the tourists arrive. Have vandals ruined Tenby's chance of winning a prize in the Britain in Bloom competition? Local cobbler 'Dai the boot' sells off some Tenby sea bass at a charity auction.